When you’re in France, you need to experience Paris at least once in a lifetime. Whether that is alone or with friends. Paris is the melting pot of so many cultures you will not believe what you see with your own eyes. From the food, culture, and night-life – to shops, latest in fashion; there is something for everyone, 24/7. When traveling to Paris give special attention to how you want to enjoy your time. Do you want it planned in detail or just hit it on-the-fly as a solo traveler? Either way, you will not be disappointed in the many activities awaiting your arrival. As a free-wheeling vagabond, you can enjoy the city as the locals do. You can also bike to the fabulous countryside and absorb the rich history and beauty of the ancient vineyards. The very ones that produce the finest wines in the world. If you prefer well-planned visits that target your special interests, advance planning with an agency may be more appropriate. Either way, going out in Paris, even for a short time, will build memories lasting a lifetime. Here is some information that will surely make your trip even better. If you have planned your trip through an agency you might consider skipping this section. Unless of course, that little explorer in you encourages you to go out and see Paris on your own. That is in ways not covered in your planned package. Renting an apartment has some benefits. They are usually in the center of the action and well appointed. However, the place might be just a bit too comfortable and you might end up spending too much time there. After all, you are there to see the sights and mingle with the locals, not hanging out on your couch. If you’re going to Paris alone or even with friends, local hostels or private rooms may better compliment your style. These can be found within the city or out in the countryside, and are fairly easy on the pocket. Another nice aspect is that they are near the local pubs. There you can enjoy a glass of wine or some other specialty. Eateries and other tourist attractions are usually also in the close area. Eurail offers travel packages and discounts. Check if you are offering anything that might suit you. Remember to travel safe and purchase the insurance you may need. Consider medical and personal items (camera, tablet…). Check your area for festivals and other local celebrations. You are probably going to need lots of mobile data. Look for discounted local SIM Cards or vacation SIM Cards. If you know you are going to visit some of the top attractions book them in advance. Those might include the Eiffel Tower, wine tastings, or cooking classes. You can get great pricing for tours, attraction tickets, and even avoid long queues. Check out and install the apps you may need in advance. A few of interest: Spotted By Locals (hot-spots from locals), Sandeman’s (walking tours), EatWith (local hosts share home-cooked meals), Polarsteps (create a shareable photo book), and many more. And don’t forget the Velib Bike Share makes it convenient to get around the city and not worry about your bike. When visiting Paris be sure to spend some time in the Latin Quarter and experience the real deal. Take a bike tour, visit a great restaurant and enjoy true French food. You can also join the Riviera Bar Crawl Paris, which will take you through 4 venues for fraction of a price. And lastly, don’t forget to take in famous Latin show at the Cabaret Le Paradis Latin, on the Left Bank. A must see is the Notre-Dame de Paris Cathedral also known as “Our Lady of Paris”. It is considered the finest example of French Gothic architecture and you should not miss it. When there, but on a more somber note, you may want to reflect on the loss of Jim Morrison from the Doors, who died in Paris in 1971. 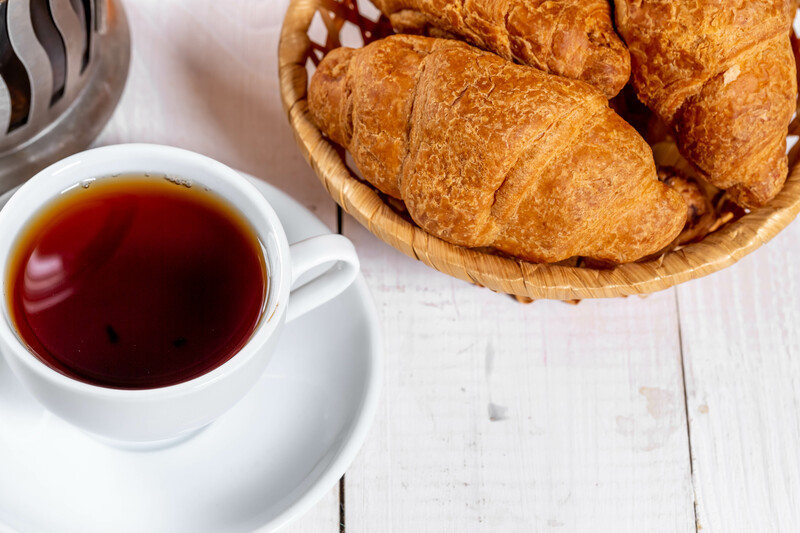 If museums and fine pastries are your interest don’t forget to visit the Louvre, Arc de Triomphe, and Angelina’s. 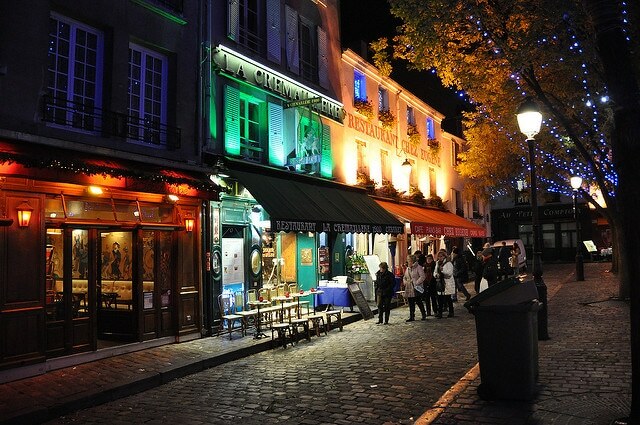 – The Rue Cremieux a quaint cobblestone street with colorful homes. – Visit the Specialty Coffee Scene and enjoy a cup. – Avoid long lines yet get a birds-eye view from the Montparnasse Tower. – So much to see and so much to do like the Pont De Bir-Hakeim, Paris Plages, Co-working Cafes, Promenade Plantee, and so much more. Let’s not forget shopping. Paris offers an extremely diverse shopping experience and something for everyone. Everything from Outlets to Hi-End Fashion, you will find it all in Paris. On traveling to or from Paris don’t forget to stop in Saint Martin to experience the unique and saucy combination of French, Caribbean, and Dutch cultures. Fine food for everyone – whether you are on a budget or only the sky is your limit. There is always something to peak your interest and tantalize your taste buds in Paris. Paris is famous for fine dining. Go Gold Standard at one of the 600 plus Michelin Rated award-winning restaurants. Or maybe dine with a legendary Celebrity Chef. And don’t forget Paris is THE destination for a romantic meal, that creates an unforgettable night on the town. Maybe a casual restaurant or café is more to your liking. Paris offers numerous family restaurants that will quickly become favorites. Quirky cafés, eateries and so much more; whatever it takes to please your taste and budget. If it’s not the right time for food, consider visiting a Wine Bar or Pub. Unwind with a glass of fine wine, a bottle of champagne, a cocktail, or a pint of golden amber lager. Either way, don’t forget to experience a traditional afternoon tea! Whether that be in a glamorous hotel parlor or a quaint café. Indoors or outdoors there is always one for your liking. Paris and the surrounding area offers something for everyone. Monuments and landmarks like the Eiffel Tower, the Arc de Triomphe, Sacre-Coeur and Notre-Dame. If you prefer museums and galleries it’s an art lovers paradise. From the masters to the undiscovered, enrich yourself at the Louvre, Musee d’Orsay, or the Pompidou Centre. Don’t forget to enjoy a break and relax in one of the many breathtaking parks or gardens. The City Of Love always offers something to accommodate both locals and visitors. And no matter when you are planning your trip, there is definitely something special just for you. So be sure to include it in your itinerary. A New Year’s Day parade, super sales, and short lines at attractions. 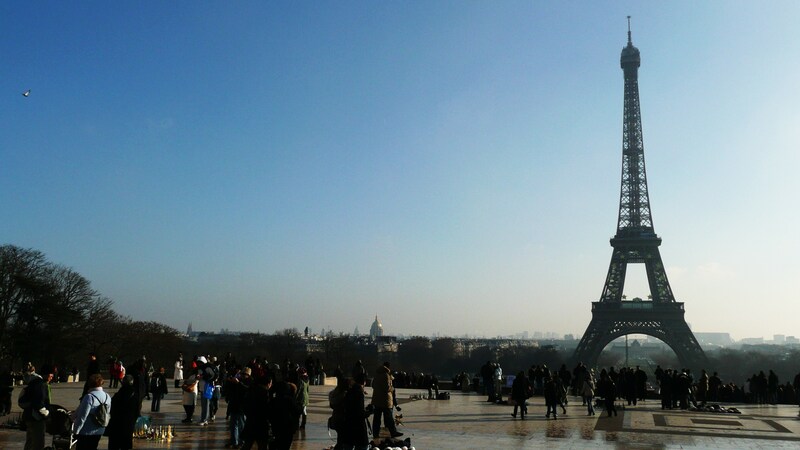 Celebrate Valentines Day in the City of Love, visit the Louvre and take a stroll through a park. Spring is in the air and you can enjoy the many festivals celebrating the arts, cinema, and literature. You can also enjoy the light tourist traffic. Cheer for your favorite runner in the Paris Marathon or take in the charms of a country fair at Foire du Trone. Things begin getting busy with the Great Paris Steeplechase and the French Open Tennis Tournament. And for those with the need to feed, the Taste of Paris food festival is sure to please. Time for strolling in the many parks and enjoying the popular Paris Jazz Festival and other music events. It’s the start of the summer holiday and when France celebrates its national holiday, Bastille Day. Open-air theater, Carnival Tropical de Paris, and so many more. If you’re a fan of bikes Tour de France finishes with its last epate here. Many Parisians vacation this month but that doesn’t hamper the festivities. You have to experience the Feast Of The Assumption, Rock En Seine, the Classique Au Vert, and much, much more. Les Soldes (Sales) at the end of summer are simply insane. The lighter tourist crowds provide an opportunity for you to experience the authentic Paris. Don’t worry, there is still plenty of things to do. The crisp air and fall colors open new shades of entertainment. At the Les Grandes Eaux Musicales, water fountains dance in time with music, the Prix de L’arc de Triomphe horse race. 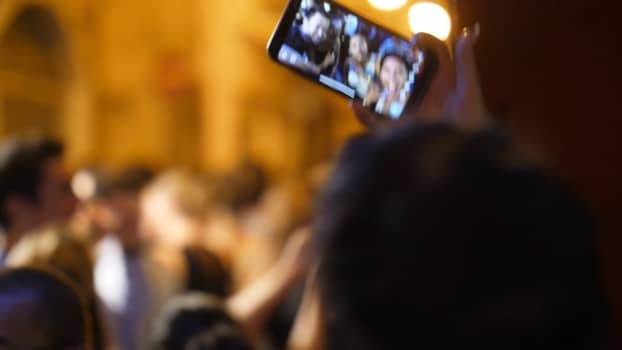 Be careful, not to miss Nuit Blanche, a celebration of culture where museums, art galleries, and most popular spots are open almost all night. This is your chance to see Paris with fewer crowds and still enjoy all it has to offer. Help celebrate Armistice Day and for those who like crafts you must take in Créations et Savoir-faire and the Marie Claire Idées. The many Christmas Markets make December a truly magical time for a visit. Enjoy ice skating and the festive lighting in the parks. The Africolor Music Festival celebrates African music and tribal performances at venues throughout Paris. If you’re interested to find out even more about what you can do in Paris – day and night – be sure to check out some more of our articles. There is truly something for everyone when going out in Paris either alone or with friends. Bon Voyage.